After Geography, we moved on to math. The students had been doing 10-15 minutes of daily math practice throughout their first block, however this was the first time we would be devoting our main lesson time to math work. 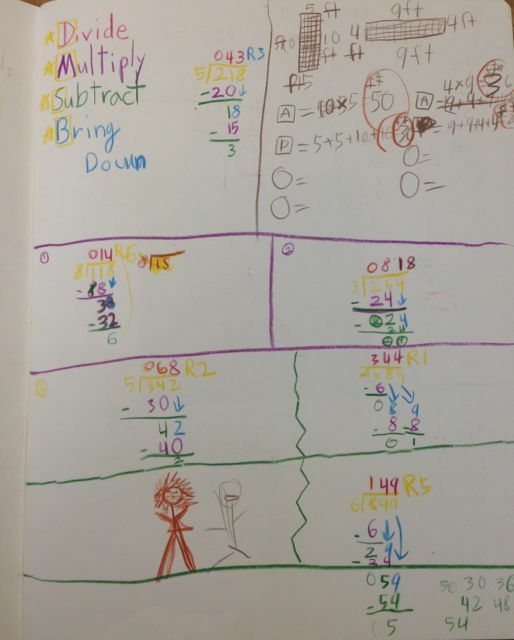 Our approach to math includes as many imaginative examples as possible, as well as drawing from real-life situations. This first math block provided us with three weeks to review and make connections to material learned in previous years. As each new concept is presented in the early grades, the teacher uses a story to make the practical, and often abstract, math concepts come alive for the children. For this reason, we refer back to these stories in the later years to ensure they stay fresh in the students’ minds as they use the earlier concepts for more advanced math. We began with reviewing addition and subtraction both horizontally and vertically, while working quickly up to three and four digits. Remembering how to borrow and carry prepared us well for moving into vertical multiplication review. 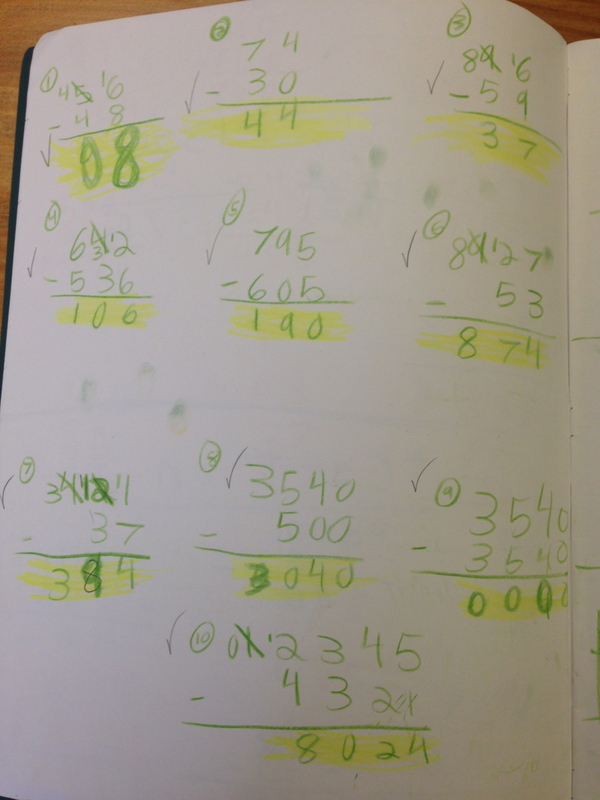 They had begun this as well as long division toward the end of last year. For this reason, we could use the first half of main lesson to review a concept, work a few problems on the board together, and leave plenty of time in the second half of the day for application and independent practice. With our small class size, I am able to use this time to work one-on-one with any student needing extra help on a concept. 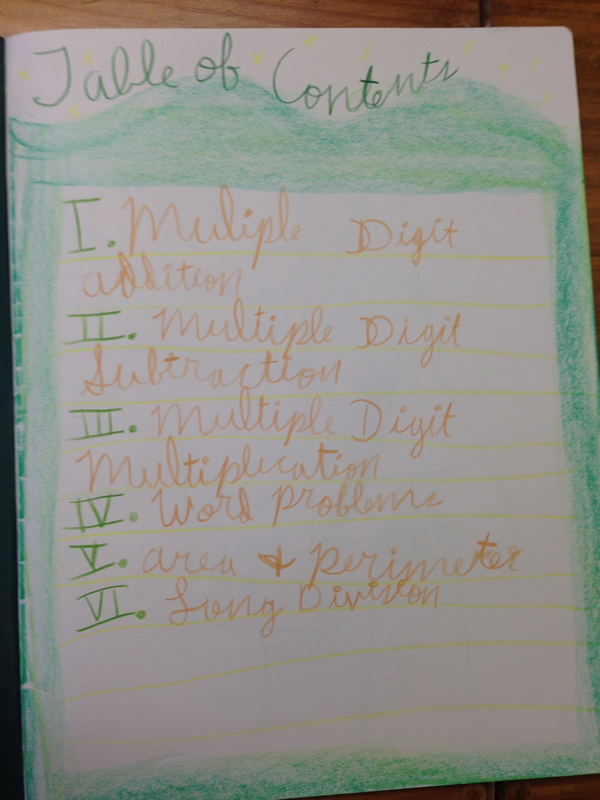 This repeated practice increased everyone’s confidence in the most challenging concepts, especially long division. 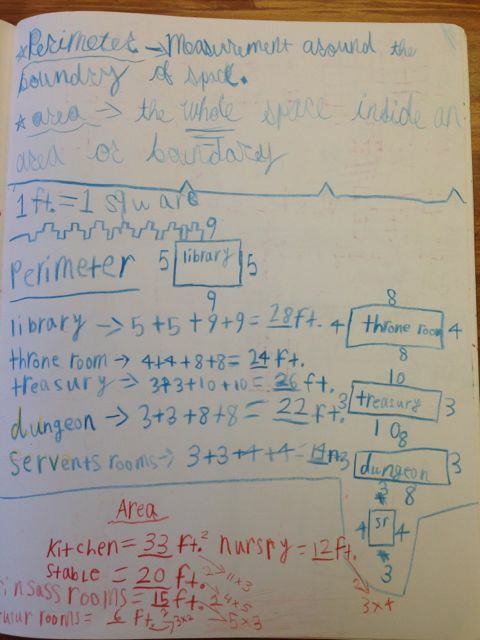 In addition to reviewing concepts from previous years, we introduced area and perimeter. These topics provided a great opportunity to invent fun and silly word problems to for the class to solve. The students are at an age when they truly appreciate humor and are able to write well enough to create entertaining problems for their classmates. It also provided great review of measurement from last year. Since area involves multiplication, it was a reminder to the students of how knowing their multiplication tables well, will serve them in real-life situations. 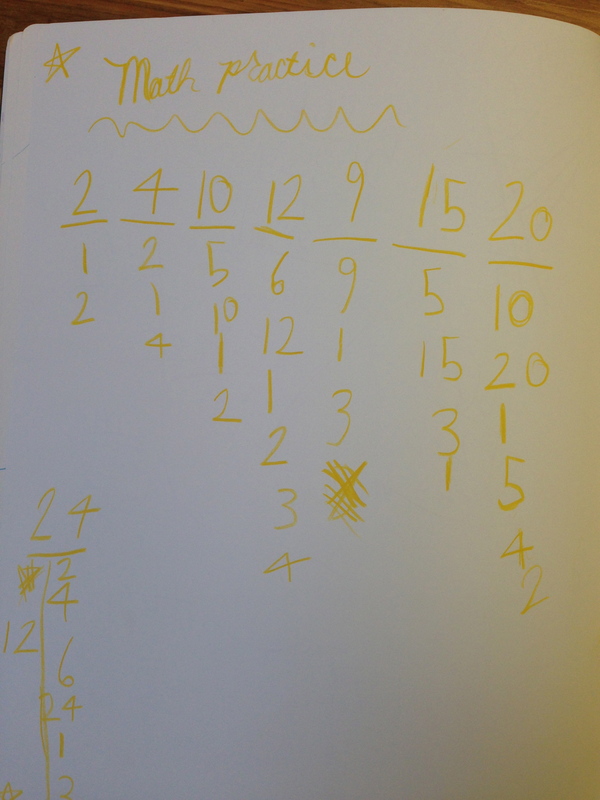 Though they learned the times tables 1-12 last year, we continue our work on them to keep them fresh. Our new strategy to stay motivated is for each student to review flashcards for a particular times table they are struggling with. When they are confident that they have them all committed to memory, that student pulls me aside to be quizzed. If successful, we do a fun ‘knighting ceremony’ for them. She then becomes ‘Lady of the 6’s,’ for example. They keep track of their own progress through the tables, and each student uses extra time after finishing work to review at their own pace. To further inspire their imaginations, and as a bit of a reward for working hard, we concluded each day with reading from The Magician’s Nephew, by C.S. Lewis. 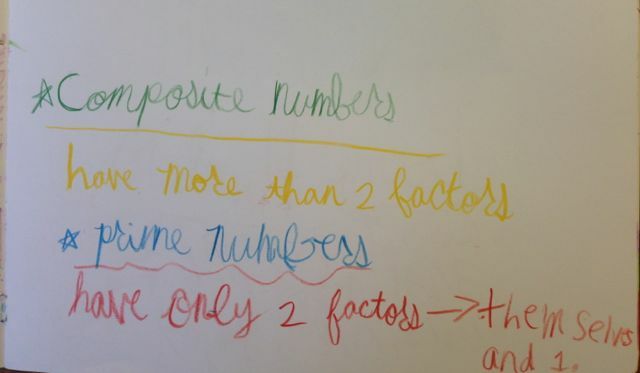 We concluded the block with an introduction to factoring and discussing prime versus composite numbers. This skill will be crucial to beginning fractions in our second math block. We explored different ways to find prime numbers and breaking larger numbers into their many parts. We will continue this during our math practice sessions in the following blocks until we pick back up with math in December!